The weather is finally changing to something vaguely resembling summer, and this is the time of year that I start thinking about all the summer trips to the Maritimes that I made as a child, and then again as an adult. We would drive there from Ontario, and it seemed that as soon as you crossed the border between Québec and New Brunswick, the food culture changed from land to sea. Just pop into a New Brunswick fast food restaurant in order to compare: McDonald’s in New Brunswick serves (very poor) lobster rolls, and Subway serves a (reasonable) seafood sub. The culinary transition is rather abrupt, because it’s not like the terrain and agriculture of eastern Québec and western New Brunswick are at all different. But New Brunswick is a maritime province, and this is reflected in the culture and the cuisine. Which isn’t to say that there isn’t a strong agricultural foundation in the province as well; with an area almost the size of Ireland with one sixth the population, there is room for multiple local industries. 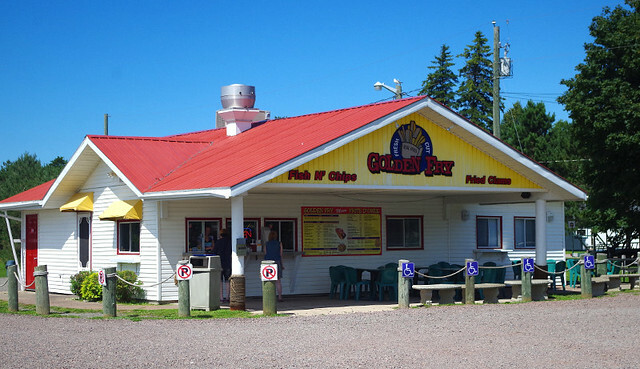 Golden Fry, Shediac, New Brunswick. Most people who visit New Brunswick head for the coast. The best value for money as a tourist is generally to rent a cottage within walking distance of the sea, or if that’s not possible, to stay in an inn or B&B within a short drive of the beach. 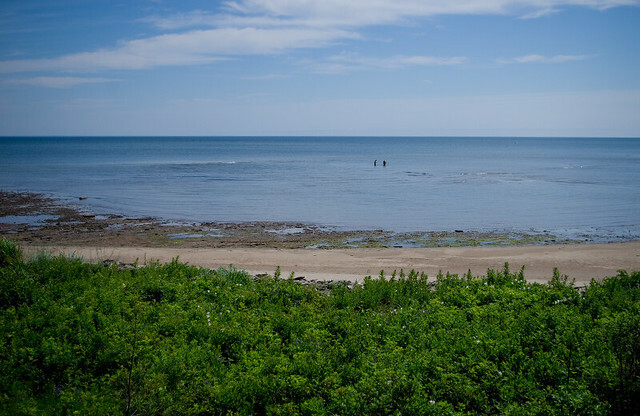 The town of Shediac (the self-proclaimed Lobster Capital of the World) has capitalized on its proximity to the gorgeous Parlee Beach Provincial Park and has, over the years, become somewhat overdone, over-hyped and overpriced. The town almost shuts down except for the months of July and August. There are some good seafood restaurants there during tourist season — but some of the best food in town can be found at the Golden Fry (560 Main St, Shediac). Lobster roll and fries at the Golden Fry. The place doesn’t look like much; it’s just a small building off the side of the road, with a gravel parking lot and some plastic tables and chairs out front. It’s takeout, pure and simple — it makes me think that a french fry truck grew roots and decided to stay in one place. But oh my goodness, their food is so good! 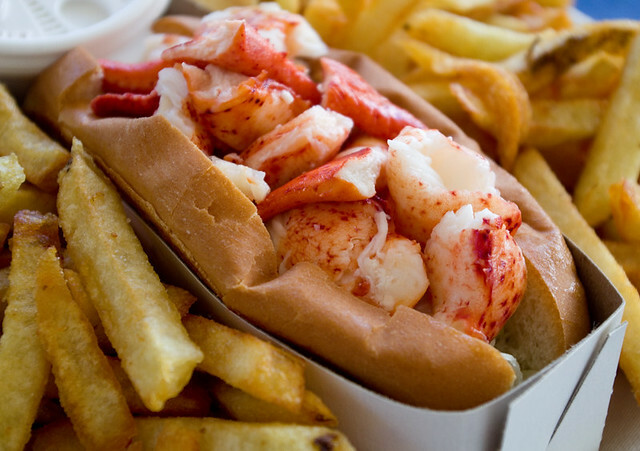 Take the lobster roll, for example. 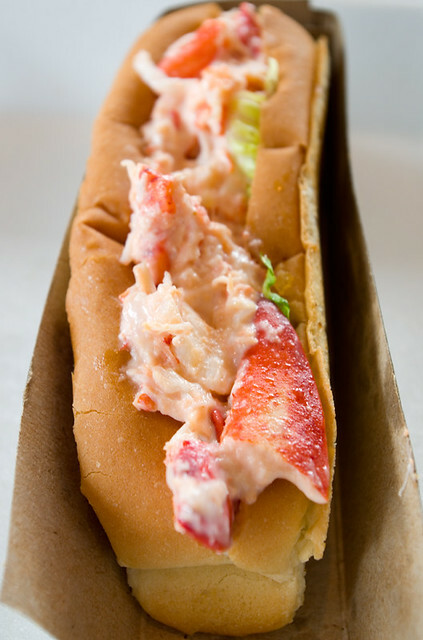 It’s a toasted, buttered New England roll stuffed to bursting with chunks of fresh, cold lobster meat. Their their fries are fresh-cut, their poutine uses real cheese curds, their fried clams are crisp on the outside, soft in the center… A lot of the fancier restaurants in town could take lessons from this place, especially since “lobster roll and fries” is a standard menu item in the area no matter where you dine. To me, though, Shediac has been done to death. The town is packed to the gills during tourist season, the traffic can be gnarly, everything is overpriced compared to the same things just out of town, the cottages are so close they’re practically town houses… For my seaside vacation, I prefer something a little calmer. This is why I’ve fallen in love with the town of Bouctouche, which is a short drive up Highway 11. Like Shediac and Pointe-du-Chêne (which also has some lovely beaches), it is on the Northumberland Strait, and as such boasts some of the warmest ocean water temperatures on the Atlantic coast north of Virginia. Unlike Shediac, it hasn’t become a tourist trap, although Bouctouche does boom in summer. It’s a little further away from Moncton, and hence from the Moncton airport, so people aren’t as likely to make the effort. 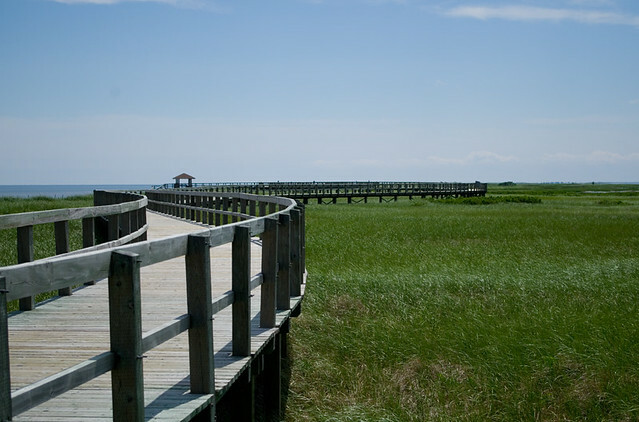 Irving Eco-Center, La Dune de Bouctouche boardwalk. The town of Bouctouche has benefited from being where James Dergavel Irving founded J.D. Irving Ltd. (the company most well-known these days for Irving gas stations) in 1882. 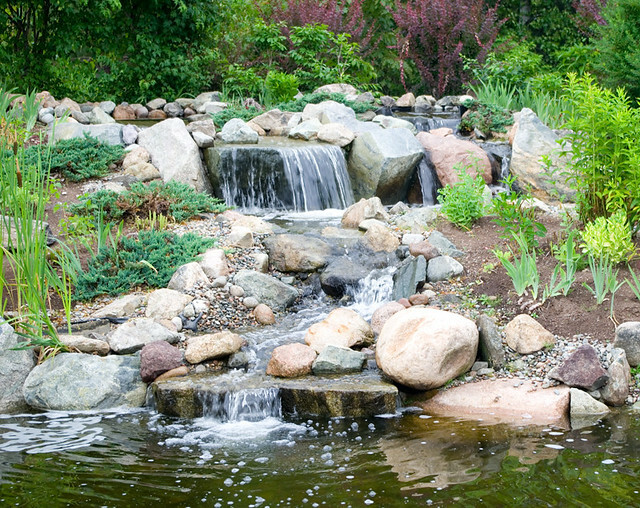 The company/family has funded a big chunk of the most beautiful spots in town, like the Irving Arboretum, which is packed with scenic walking and biking trails, and the Irving Eco-Centre, La Dune de Bouctouche, which contains the local saltwater beach as well as a boardwalk and hiking trails. 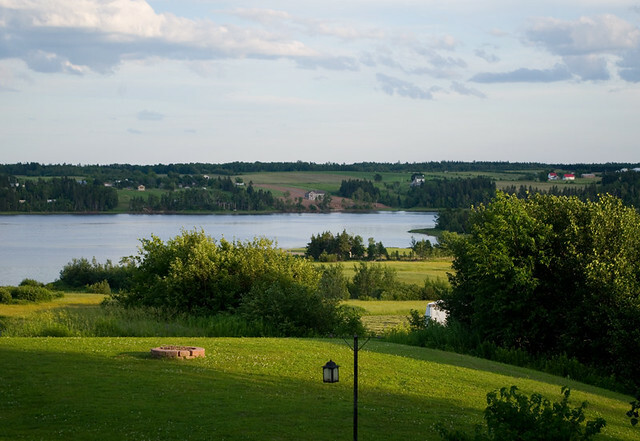 In addition to the coastal attractions, the Buctouche river flows through Bouctouche and neighbouring towns, emptying into Buctouche Bay in the Northumberland Strait. This means that the town also has freshwater angling, boating, and scenery. 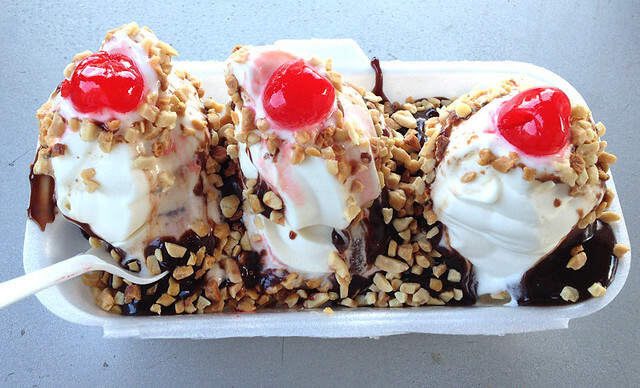 Banana split at Le Petit Crèmier, Bouctouche, NB. One of my kids’ favourite places in Bouctouche was Le Petit Crèmier (103 Irving Blvd), which is the local ice cream parlour. Once again, it’s take-out only, but their ice cream is great, their portions generous, and the sheer variety of what they serve is mind-boggling. It’s totally worth a stop on a hot day (or, if you’re like me, any day). 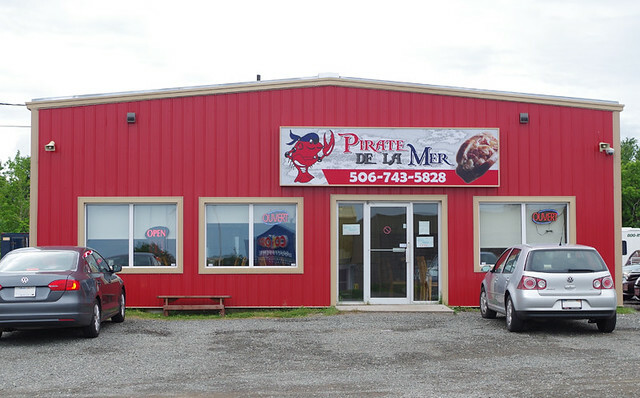 The hidden gem of Bouctouche, food-wise, is Pirate de la Mer (10 rue Industrielle, across the street from the small mall containing the Co-Op and the liquor store). There’s nothing much to the restaurant when you see it from the outside. It’s in a plain red industrial building, with a couple of picnic tables out front, and a gravel parking lot. But if you head there on the weekend or at dinner time, be prepared for up to a half an hour wait in line just to place your order, with another half hour before your food is made. The place is popular with the locals and with tourists. It is not uncommon for there to be not enough seating for everybody, which is why a good portion of their clientele orders their food to go. The amply-sized parking lot gets full fast, with overflow parking on the road. After my first visit, I would order my food a half an hour in advance or so, giving them lots of time to prep while I headed over and then waited in line. This way the food was hot and ready to go as soon as I paid. Double lobster roll, fries & coleslaw at Pirate de la Mer. 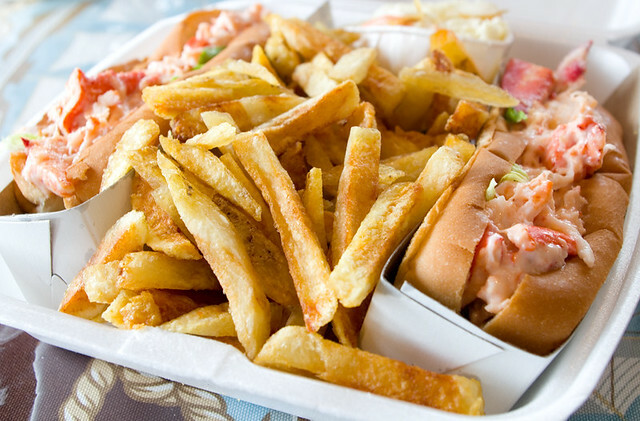 The lobster rolls at Pirate de la Mer are mouth-watering — enough so that I make a special trip to Bouctouche to order them, even when I’m not staying in town. Their fries are crispy deliciousness, and I’m told that their coleslaw is first rate (I don’t like coleslaw). In addition, they make their own tartar sauce – they’ll give you the option between their version and pre-made Kraft stuff. Go with their version. It’s definitely not a fancy restaurant, but I haven’t had better seafood at anywhere that charges four or five times more for “gourmet” and “ambiance”. If you want to eat somewhere prettier, you can always get your food to go and head up the road to the Arboretum or the beach. Lobster roll at Pirate de la Mer. There is no excuse for visiting the Maritimes without indulging in seafood. Unless you hate the stuff, I guess. Or are allergic. Or vegetarian. Or your religion prohibits it. Other than that, though, there is no excuse. If you can afford to travel, then you can afford at least one seafood meal — especially since, in New Brunswick, a lot of seafood dishes are on par or cheaper than any other kind of meat. So indulge! You won’t regret it.